It is probable that Lawrence Walsh was born outside of New Zealand as neither he nor another brother Patrick John Walsh are listed in New Zealand’s Births, Deaths and Marriages. in the 17th Company of the 6th Contingent raised for service in the 2nd Anglo-Boer War. Trooper Walsh is listed as living at Wellington where he worked as a carpenter and that his next of kin was his father Mr John Walsh, Tawa Flat, Manawatu Line. as a volunteer with the Heretaunga Mounted Rifles. Plumer. The column operated initially in the Orange River area before being moved to the North East Transvaal where they occupied Pietersburg. The 6th was in action at Kromdrai, Bethel, the Modder and Orange Rivers and Bloemfontein. These drives resulted in the capture of men, equipments and cattle but there were also loses in the 6th due to enemy action and also disease. On the 22nd September 1901 there was an engagement at Elansberg with 150 Boers and on the 27th September 1901 ‘stiff fighting; at a drift on the Calendon.’ A dispatch written on this action reported that 200 New Zealanders arrived at the drift just in time to prevent 300 – 400 Boers who were trying to cross the river. 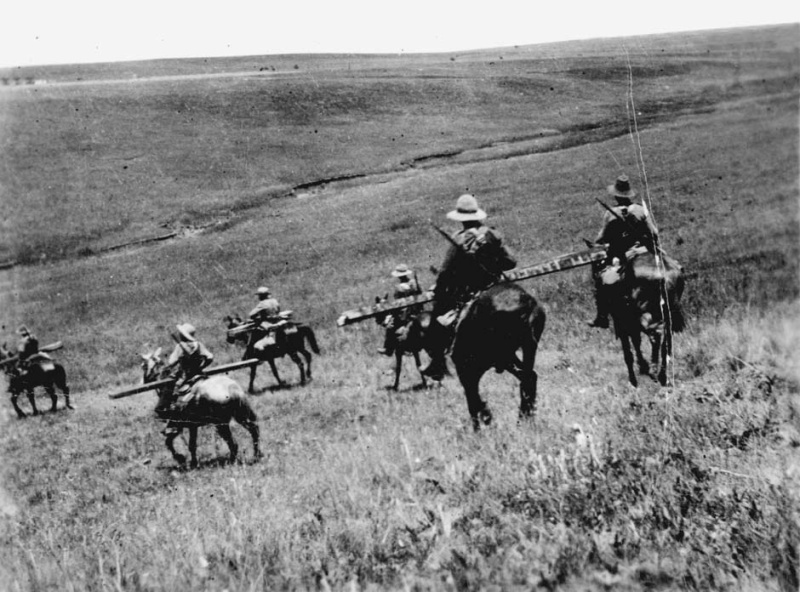 The 6th would then move to the northern border of Natal and then Wakkerstroom where on the 3rd January 1902 they were in action and then the following day at Onverwachte. The Onverwachte action was considered the most severely fought engagement of the second phase of the war and while the 6th had lightly wounded the 5th Queensland Bushmen lost 12 men killed with 2 officers and 20 men wounded. is developed from contaminated water or food. The disease could last weeks or months and apart from normal nursing there was no known cure. Trooper Walsh died at Wakkerstroom on the 8th February 1902 and is buried there. in action or died of wounds, 26 were accidently killed but the largest number, 133, died of disease and of these 50% were from enteric fever. Trooper Lawrence Walsh’s medals the King’s South Africa Medal with date clasps 1901 and 1902 and provisional clasps Cape Colony, Transvaal and Orange Free State probably were sent to his father in Tawa. Private and Trooper are used in military files and newspaper items for consistency Trooper has been used for Porirua stories.